The Willis Mountain Getaway cabin offers the perfect Tahoe Experience. This 3 bedroom, 2 bath home is all on one level and is located in a quiet neighborhood. You will have a hard time deciding whether to extend your morning coffee on the deck enjoying the warm sunshine or being adventurous and heading to nearby Paige Meadows for a hike or bike ride. In the winter months, Paige Meadows is a perfect place to x-country ski without driving anywhere. The trailhead is only 2 blocks away! 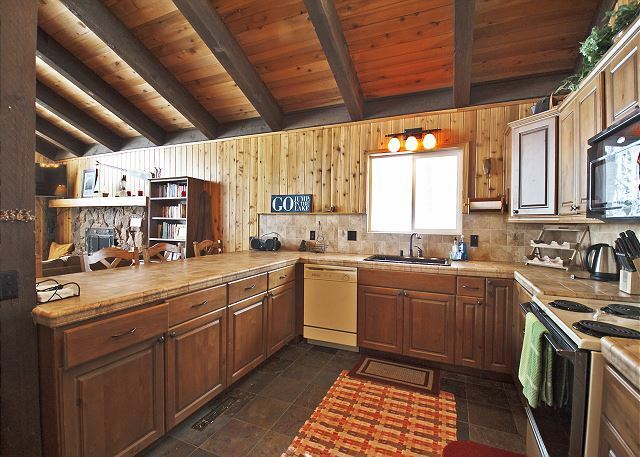 Cozy up in front of the fireplace and enjoy the warmth and comfort of this cabin. Everyone will enjoy cooking in the very spacious and well-equipped kitchen. When night falls, step out on the deck and be inspired when you look up and see a sky filled with more stars than you can imagine. End your day by slipping into the luxurious Cal-King Sleep Number bed in the master suite. 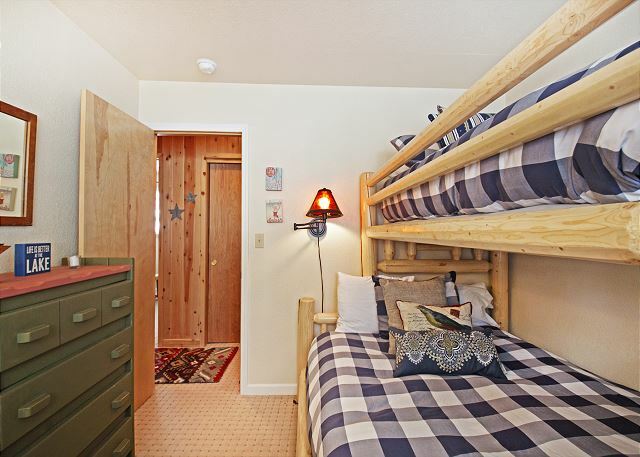 In each of the other two bedrooms there is a twin XL over queen bunk bed for your friends or family. There is parking for 3 cars at this house during winter months. 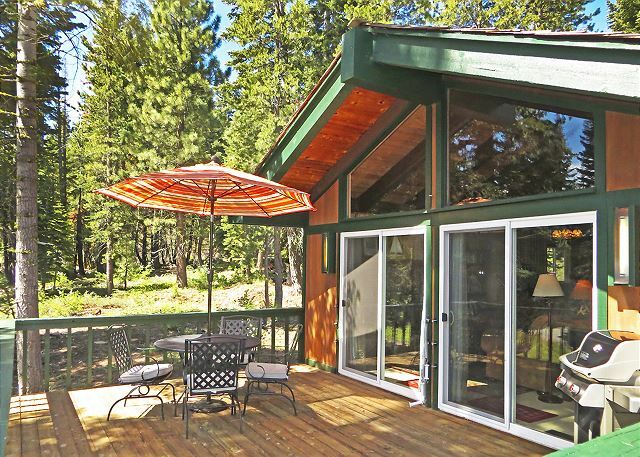 Great cabin with everything you need to enjoy a trip to Tahoe. Awesome place for families. Thank you so much for another great stay at Willis Mountain. We were super happy with the cleanliness and care of the home. The kitchen is fully stocked with any item you could need and the morning sunshine on the deck was a great start to the day. We most enjoyed the trail system right outside the door! A great stay. This was such a great place to stay, perfect location for privacy, quiet and access to Paige Meadows, The house had lots of space where it counted most - the kitchen and liivng room. Nicely decorated, great quality furnishings and very comfortable beds. Clean and well maintained. We will be happy to stay there again! it's always a pleasure to come back to Tahoe City and this area.